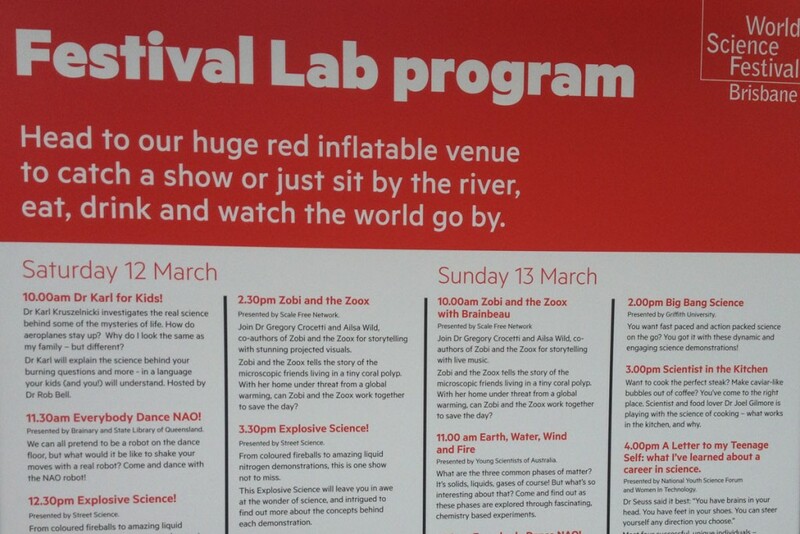 World Science Festival Brisbane hosted Scale Free Network’s presentation of Zobi and the Zoox in the Festival Lab, as a part of the weekend extravaganza of Street Science activities. 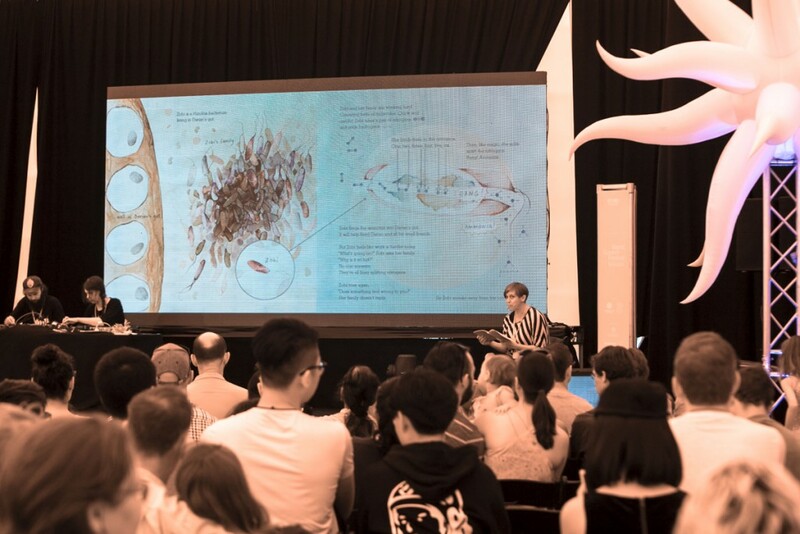 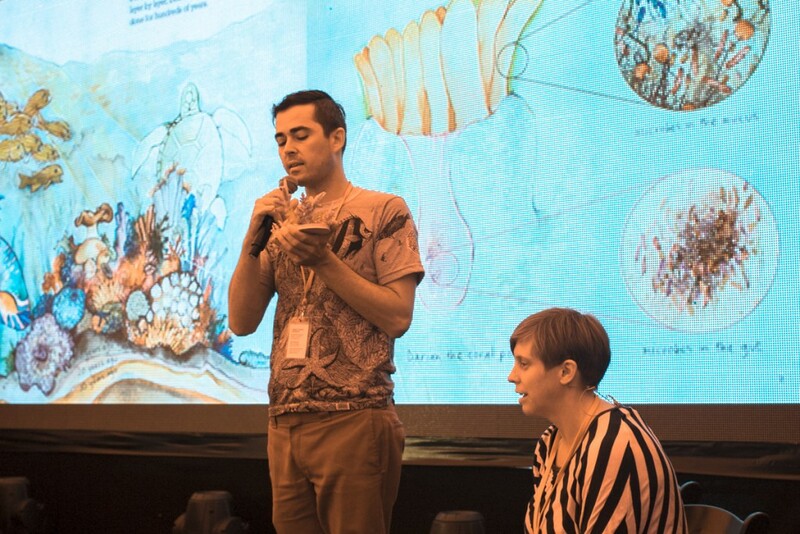 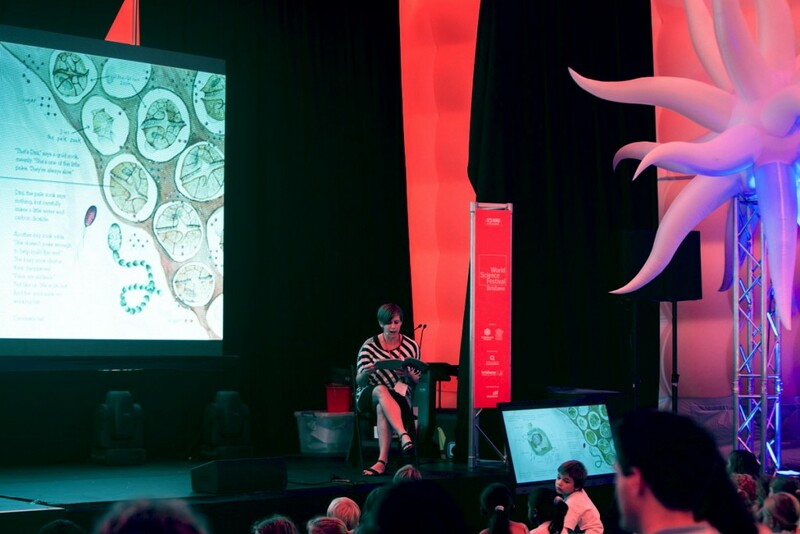 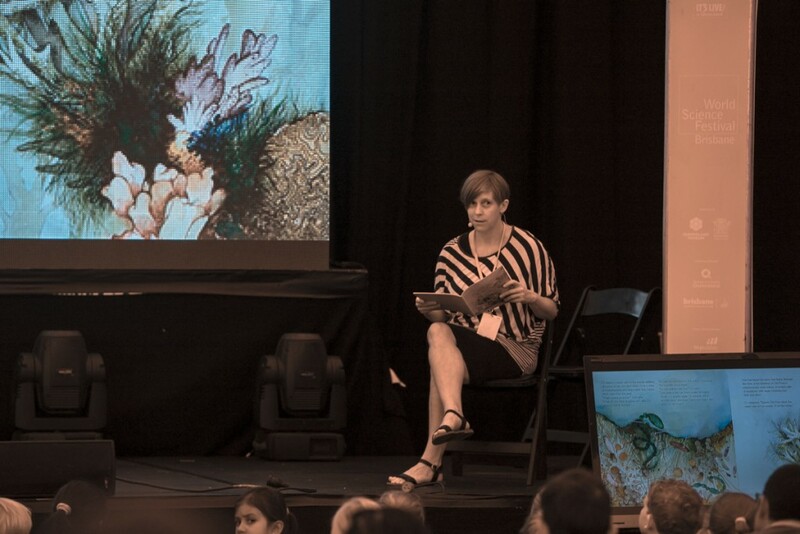 Ailsa Wild delivered a narration-only performance of our coral symbiosis story on the Saturday, joined afterwards on stage by Dr. Gregory to help answer many of the brilliant questions about coral, bacteria and more – posed by the curious young minds in attendence. 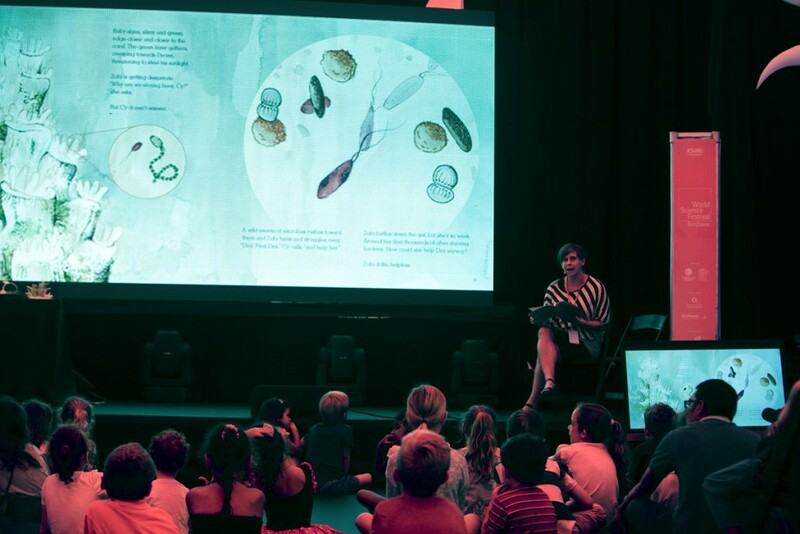 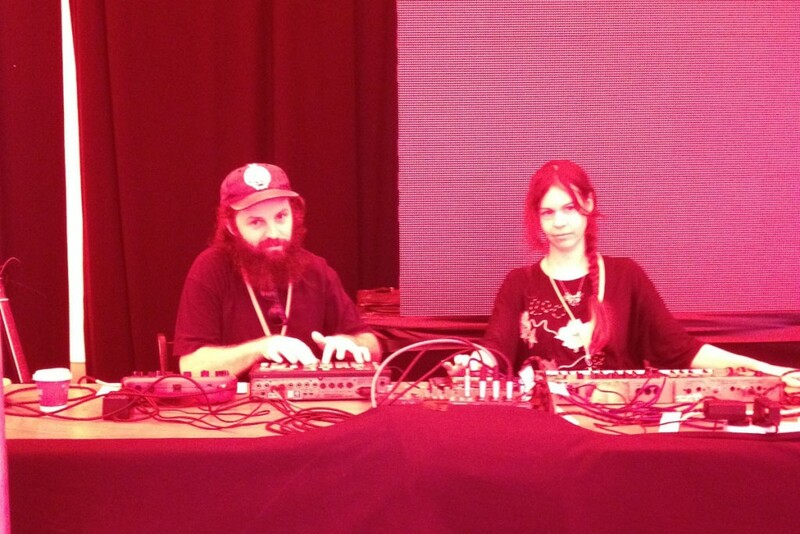 Ailsa was joined for the Sunday performance by Brainbeau – the neon-beat-synth-weirdnik Adam and Eve of whatever – to deliver a truly amazing book reading! 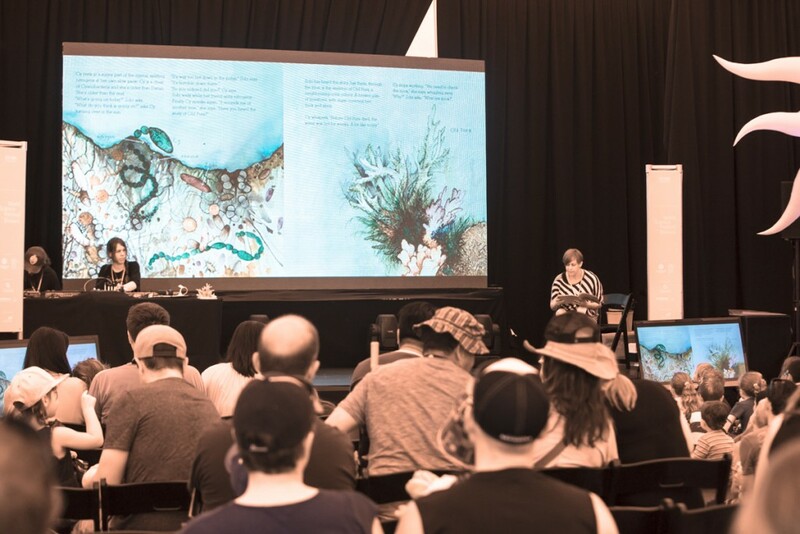 This performance was the world premiere of our new audiobook – again featuring Ailsa Wild narrating the story, with a new soundtrack by Brainbeau. 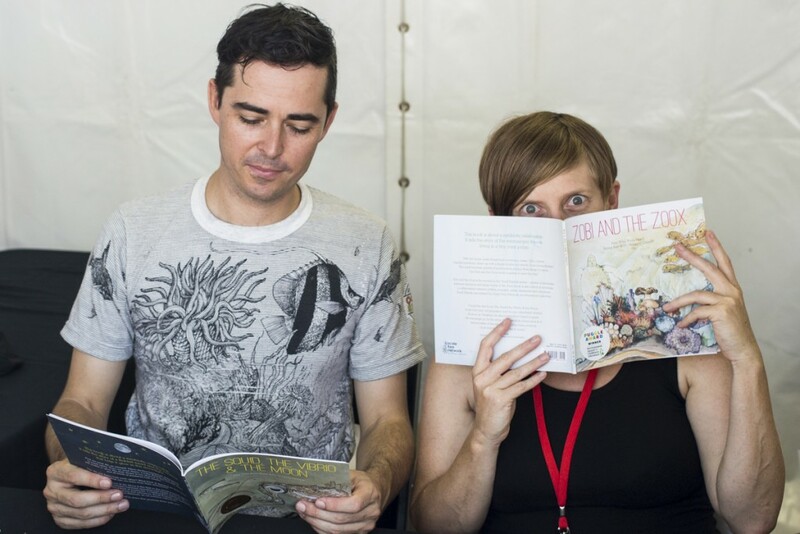 As a thank-you to all of our amazing friends and supporters the audiobook is currently available for free through Soundcloud, but we can’t promise to keep it free for ever. 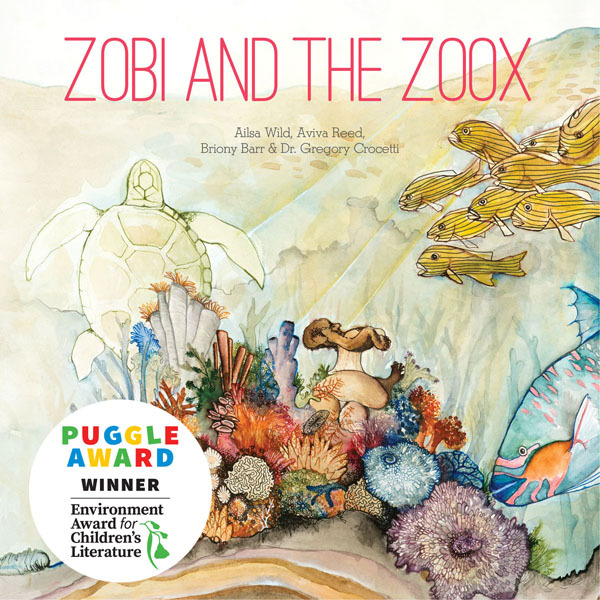 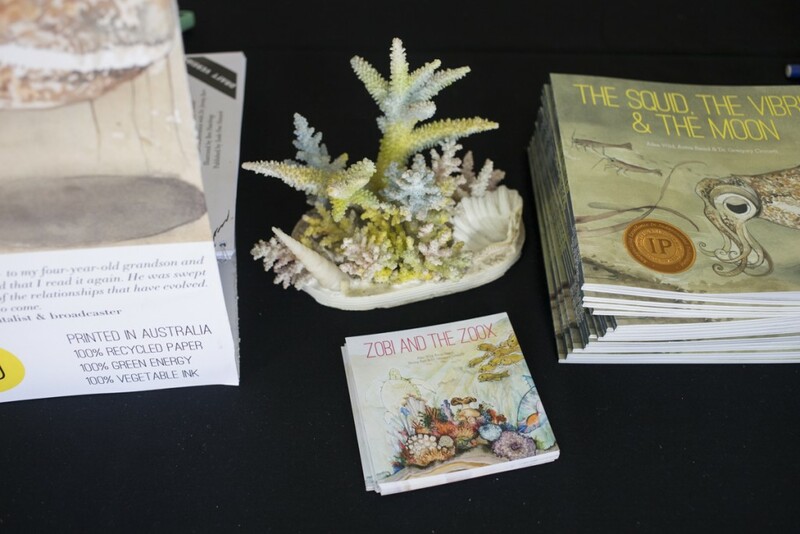 You can order copies of Zobi and the Zoox at our Small Friends Bookshop.